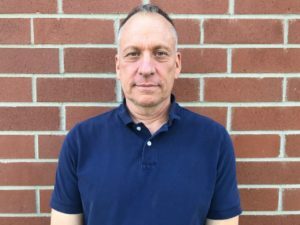 Previously, Leonard Monaco, a Marine veteran and retired senior vice president with Farm Credit West, served as chief operating officer. Monaco, whose career spans more than 48 years in agricultural banking, will continue working with FVC as a senior advisor to the organization. 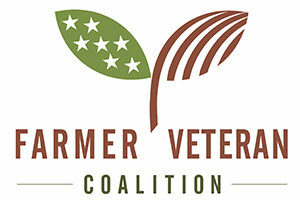 Ten years ago today, Farmer Veteran Coalition incorporated as a project of Community Partners, our fiscal sponsor. A few days earlier we had set up shop in our $250/month office – a book storage room in downtown Davis, California with two desks, a phone number and an address. We had a big idea and we were ready to get busy. It is hard to imagine how new the concept was – mobilizing veterans to feed America. But we already had found about 15 veterans who were eager to become farmers. Our plan was simple: find a way to help them, and then tell their story. GRAPEVINE, Texas (November 8, 2018) – Kubota Tractor Corporation today announced five new farmer veteran tractor recipients as part of its 2018 “Geared to Give” program in partnership with the Farmer Veteran Coalition (FVC). This year, for the first time, Kubota is honoring five veterans, adding a fifth veteran to represent its newly-created Midwest operating division. 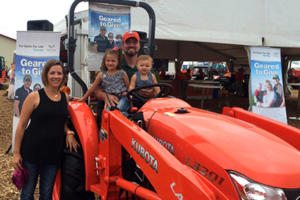 Each veteran will receive the keys to their new Kubota L Series compact tractor in their respective hometown in a special ceremony in recognition of their past U.S. military service and their continued service to their communities through farming. 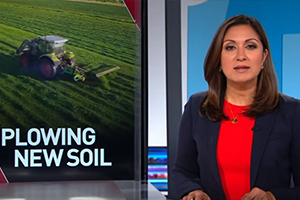 On Tuesday, October 16, Farmer Veteran Coalition and five farmer veterans were featured on PBS NewsHour. The five farmer veterans featured were: Alejandro Jauregui of Fury Bees & Pollination, Cal Zamora of Zamora Flora, Colin Archipley of Archi’s Acres, Matt Smiley of Jacobs Farm/Del Cabo, and Josh Eilers of Ranger Cattle. 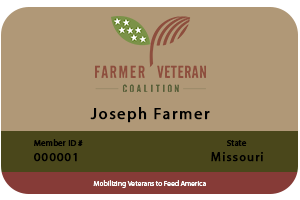 FVC is excited to announce registration is now open for the 2018 Farmer Veteran Stakeholders Conference in Kansas City. 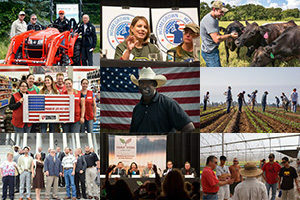 For the fourth year, farmer veteran’s and the groups that support them will come together for the largest gathering of the military and agriculture communities. 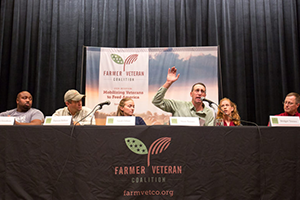 Leading up to the National Stakeholders Conference in November, FVC is bringing together the farmer veteran community for three, one-day conferences in North Carolina, Kentucky and Georgia in the month of October. 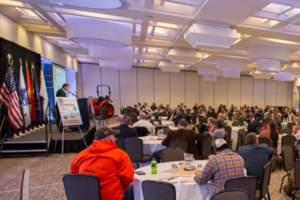 Thanks to support from Altria, these conferences are free to attend and will provide an opportunity to meet and network with other farmer veterans, visit with farm service organizations, hear from a panel of successful farmer veterans and much more. FVC members are now eligible for exclusive equipment purchase rebates on select Kubota equipment from all 1,100 authorized-Kubota dealerships nationwide. 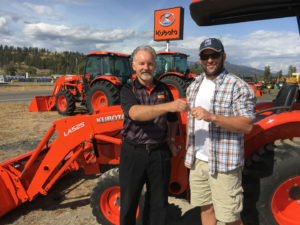 The discount program is an extension of Kubota’s existing partnership with FVC called “Geared to Give,” which is a program that works to identify and provide financial and equipment support to farmer veterans who apply for support through the FVC Fellowship Fund. In conjunction with Kubota Tractor Corporation’s announcement of an exclusive discount for FVC members, we will begin issuing membership cards to our Veteran Members. These membership cards will be sent via email as a .PDF file to our Veteran Members by Friday, July 20. The membership card will be used to verify your status as a Veteran Member of FVC when accessing discounts through FVC’s Membership Benefits program. As Congress works toward passing the 2018 Farm Bill, more than 30 farmer veterans from around the country descended upon Washington, D.C. July 11-12 as part of a farmer veteran fly-in supported by Farm Credit. 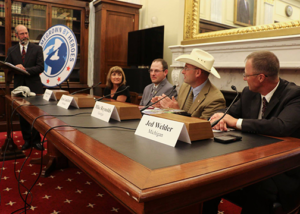 The purpose of the fly-in was to bring farmer veterans to Capitol Hill to meet with policymakers to help them understand the issues impacting rural communities and the importance of programs that benefit veterans in agriculture.